Hot air ballooning for the experience of a lifetime! Hot air ballooning is a pursuit like no other, fun, exciting, visual, peaceful and utterly addictive. 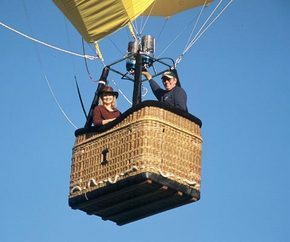 Whether you are a single person joining one of our groups or a couple looking for that something special, each and every champagne balloon flight makes for an unforgettable and breathtaking aerial adventure. Moorebank Private Vineyard is a family owned and operated boutique estate, where outstanding wines come from outstanding grapes. Moorebank specialises in ultra premium wines with straight varietals of Semillon, Chardonnay, Gewurztraminer, Merlot and Shiraz, a range of blends like the Chardonnay Verdelho, Shiraz Merlot and signature styles like the Muscat Liqueur and Sparkling Merlot..
Also available is a small collection of Ginseng infused wines crafted by Shannon the eldest son..
Whilst on this picturesque estate, indulge in wide selection of wine inspired, hand-made condiments, spreads and sauces. Moorebank Vineyard look forward to seeing you soon, cheers! Tasting and sales of multi award winning vintage wines that capture distinct varietal character in harmony with full body flavours. Savor new and exciting tastes from Europe with Sangiovese, Tempranillo and Nebbiolo grown here in the Hunter Valley. The current line up of wines has been developed to showcase true varietal character. These include Semillon, Riesling and Chardonnay in the whites and Shiraz, Tempranillo, Sangiovese and Nebbiolo in the reds. An aged fortified Shiraz and fortified Riesling are also produced. Having won a number of awards and medals at various wine shows over the years, Pokolbin Estate Vineyard is one of the most successful small vineyards in the Hunter Valley. Come and visit our cellar door to taste their range of premium wines. There's no place like Briar Ridge. Nestled amongst the rolling hills of Mount View, Briar Ridge is an iconic vineyard producing classic Hunter Valley wines. 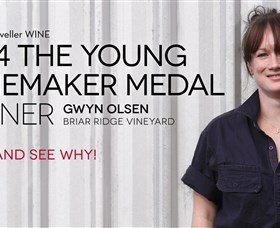 Gywn Olsen, the 2014 Gourmet Traveller WINE's Young Winemaker Medal recipient, works her magic as Chief Winemaker and is passionate about producing estate grown wines for the Briar Ridge range. Enjoy a tasting while taking in the tranquil gardens and mountain views, or why not relax a little longer over an antipasto or cheese plate and be ensconced in the beauty that is Briar Ridge. The natural beauty of Briar Ridge is also a perfect function or wedding venue. Travertine Wines offers Hunter favourites as well as niche varieties. Currently Chardonnay, Chambourcin, Verdelho, Merlot, Sauvignon Blanc, Tannat, Shiraz and Pinot Noir grape varieties are grown here. The wines have distinct flavours that showcase strong Hunter Valley characteristics and reflect the limestone dome the vineyard sits atop. The vines themselves are approximately 25 years old. 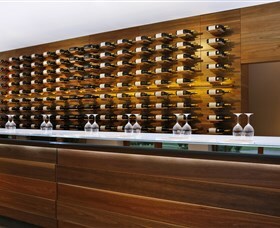 Travertine enjoys sharing the experience of its wines through its cellar door as well as through its members club. Members receive benefits of 20 per cent off wine purchases as well as other great offers. The exclusive on-site Spa Anise day spas offer a truly unique and complete sense of rejuvenation. Featuring tranquil settings, fully qualified therapists and luxurious Waterlily products, Spa Anise is open to both in-house guests and visitors. Spa Anise at Spicers Vineyards Estate is an elegant new day spa with two treatment rooms, natural timber flooring and private courtyards. Fully qualified therapists are on hand to help take the stress out of life with a luxurious range of massages, treatments, body wraps and facials. It's the perfect invitation to settle in and truly indulge the senses. Let Spa Anise at Spicers Vineyards Estate take care of your special occasion. Perfect for groups, hens' parties, birthdays, corporate events, conferences, girls' getaways - all tailored to your specific needs. You are always welcome at Tintilla Estate where they are passionate about producing distinctive, hand made wines with personality, balance and structure which reflect the Hunter terroir. You can enjoy their trophy winning traditional varieties Semillon, Chardonnay, Shiraz, Cabernet and Merlot, as well as Sangiovese. The Tintilla Estate olives and assorted condiments are not to be missed. 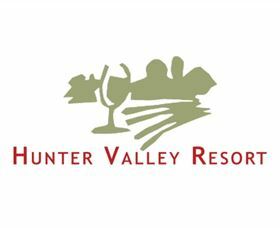 For over 20 years TeamActivity Hunter Valley has been creating special team activities for delegates / groups meeting in the picturesque Hunter Valley. Be it a small group of four, right up to 400 people, they offer a range of activities all at the one property. All surrounded by 40 year old vines. The professional team await your call or email, to tailor make a team activity which will meet your objectives. They can also assist with meeting rooms, even accommodation options. They look forward to speaking with you. If you love eating Candy, you'll love making Big Kids Candy at this 90 minute workshop. But what is Big Kids Candy you ask ? The answer, candy infused with alcohol. Working with an Executive Chef, you will watch how to make peanut brittle, marshmallows and boozy rocky road chocolate. You'll gain a lot of information in a relatively short period of time, and take home some delicious candy. Fun and games, with take home recipes. What better way to spend an afternoon? And matching candy with alcohol - a first for the Hunter Valley! Please contact the operator for available times and associated costs. Join Phillip Collis and his team and experience the entertaining Hunter Valley Cooking School in their purpose built cooking school kitchen with library. This is a hands on class and all dishes are cooked from scratch using local organic produce. Recipes are provided and the dishes cooked are eaten for either lunch or dinner. This lunch or dinner experience usually consists of a three course lunch with an additional course of Binnorie cheese for the cheese factory opposite the resort. There are a range of menu styles and options to choose. Please contact Hunter Valley Cooking School for further information. Please note the minimum booking is eight people travelling together as a group. Larger groups can also be catered. Please contact them via email for pricing and inclusions. 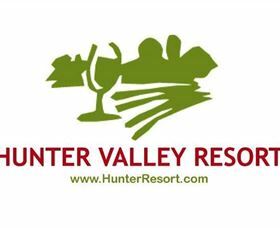 Hunter Resort offers the total 'wine experience'. 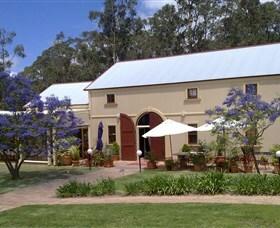 The on site winery has the largest capacity in the Hunter Valley. The Hunter Valley Wine School commences daily at 9am and is an informal tutorial of wine education. Walk through the on site vineyard of 40 year old Shiraz vines and discuss matters viticultural. What is the history of wine? What is the difference between grape varieties? What is the Australian Wine Judging System? All these questions, and more, will be answered leaving one with a new found knowledge of winemaking... and tasting! At the conclusion, receive your personalised Wine Appreciation Certificate. Situated at the foot of the picturesque Brokenback Range, it's hard to miss that striking feature of the landscape that is, Leogate Estate. The opulent cellar door is the perfect place to enjoy that unique taste which only the Hunter Valley and their award winning wines can provide. Smooth, rich chardonnays from wide rimmed glasses, crisp and clear semillons of international renown, peppery earth shiraz with a touch of leather, and magnificently fruitful verdelho. From intimate fireside tastings in winter to relaxing al fresco tastings overlooking the ranges in summer, their knowledgeable and welcoming cellar door staff will make sure your visit to Leogate Estate is an experience to remember. 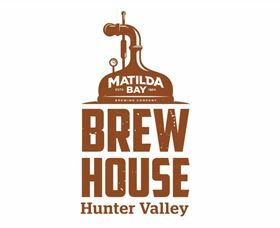 Matilda Bay Brewhouse is a boutique brewhouse. All that separates you from the brewery is a glass wall behind the contemporary bar, where guests enjoy the relaxed atmosphere. Many styles of craft beer are available including the unique alcoholic ginger beer, traditional pilsner, and a premium lager. All 12 brews are available on tap at the brewhouse. The cafe is open all day with homemade pies, bites, pizza and pasta. The brewhouse features extensive outdoor and indoor dining, is very family friendly, and there are ATM facilities on site. Keith Tulloch wines are hand-made with meticulous care, and epitomise the qualities of a boutique Hunter Valley wine company. The picturesque vineyard estate includes the Keith Tulloch Winery, Cellar Door Tasting Lounge, Member's Room, Private Tasting Room, Muse Kitchen and Manager's Quarters Accommodation. 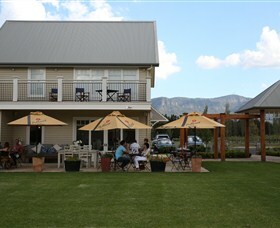 Keith Tulloch Wines invite you to visit; enjoy their wines, dine, take in the panoramic vineyard scenery and relax. Established in 1893, Oakvale is one of the oldest working wineries in the Hunter. Family owned and operated, they are passionate about retaining traditional winemaking methods and dedicated to the production of premium handcrafted wines and Apple Cider which are sold exclusively through their Cellar door. In Summer, the beautiful manicured gardens provide a peaceful place to relax and in Winter the log fire is always ready to chase away those chills. Whenever you visit, their friendly Cellar door staff, and often their Winemaker, will be happy to show you their state-of-the-art winery, guide you through the wine ranges and share their in-depth knowledge of the Hunter with you. Oakvale Wines are also available by the glass so call in today and let them provide you with a very special experience. 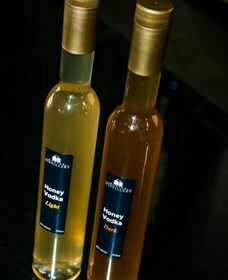 Hunter Distillery originally commenced the production of limited edition premium organic vodkas. It is the first 100 per cent organic distillery in Australia and, they believe, the Southern Hemisphere. As a result of initial success of the Distillery's famous award winning Valli Vodkas, winning gold in the prestigious San Francisco world spirits competition and silver in London International Wine and spirits competition, it was resolved to establish an expanded, state of the art, distillery in heart of Pokolbin, which opened in 2013. A great wine begins in the vineyard. At Stonehurst Cedar Creek Vineyard the fifth generation Heslop family remain committed to sustainable agriculture. The elevated trellis captures sunlight and airflow enhancing fruit quality and flavours. Vines are hand pruned, and all fruit handpicked. They use no insecticide and only organically approved fungicide. The results of the labour of love are award winning wines from a very healthy vineyard. Try the Methode Champagnoise, Hunter Boutique Wine Show Trophy winner. There's also Semillon, Chardonnay, Shiraz, Chambourcin and fortified wines to try. Stonehurst welcome you to enjoy a wine tasting at their sandstone Cellar Door - make a day of it and explore the Wollombi Valley Wine Trail. Stay in a vineyard cottage, relax, rest, enjoy. Stonehurst are proud hosts of 'Sculpture in the Vineyards' - an exhibition of large scale outdoor works, held annually throughout November, continuing into December. Original sculptures and artworks by Greg Wilson, his creativity is expressed in a wide range of colourful oil paintings and sculptures. Critics at home have dubbed him the "Rebel of the Art World," acknowledging this diversity. Unafraid to be spontaneous and free, Greg uses a multitude of media to create his works. The Greg Wilson Gallery is open by appointment only. 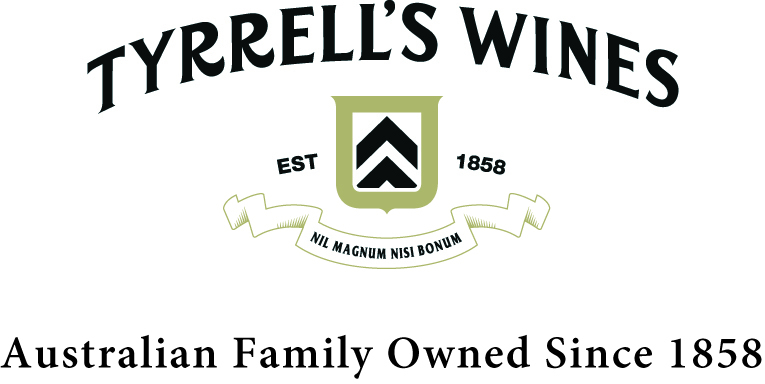 Established in 1858, Tyrrell’s is one of Australia’s pre-eminent family owned wine companies with vineyards extending from their historic home in the Hunter Valley to the Limestone Coast (South Australia) and Heathcote (Victoria). Headed up by fourth generation family member Bruce Tyrrell, and fifth Generation Chris Tyrrell, Tyrrell’s is home to some of Australia’s most awarded wines, including the iconic Vat 1 Semillon. The cornerstone of the Tyrrell’s portfolio is their Winemaker’s Selection range – one of Australia’s oldest and most awarded collection of wines, adhering to timeless styles that transcend trends and fads. These five individual wines, including the Vat 1 Semillon, Vat 6 Pinot Noir Vat 8 Shiraz, Vat 9 Shiraz and Vat 47 Chardonnay, all originate from Tyrrell’s finest and oldest vineyards around their historic Pokolbin winery in the Hunter Valley. The company motto of ‘nothing is great unless it is good’ began with Edward Tyrrell from England, and has been a guiding beacon for the family for more than 150 years. It has been, and will continue to be, the basis of all that Tyrrell’s do. This commitment to quality and the never ending quest by the winemaking team to produce the best wines, has garnered many local and international accolades. Since 1971, Tyrrell’s has been awarded over 5,000 trophies and medals, and in 2015 alone, was awarded 73 Bronze medals, 45 Silver medals, 37 Gold medals, 3 Top Gold medals, 19 Trophies…plus Wine of Provenance for Johnno’s Shiraz at the Hunter Valley Show for 2004, 2009 and 2013 vintages. With the fifth generation, Chris, Jane and John, involved in the business, Tyrrell’s will continue to drive family as being pinnacle to the ethos of the company, with the simple philosophy of producing high quality wine that people love to drink. 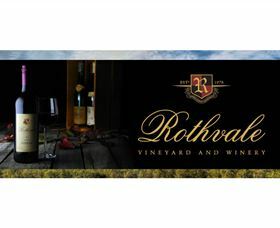 Rothvale Vineyard and Winery produce award winning classics of Semillon, Chardonnay, Shiraz and Cabernet Sauvignon from vines first planted in the 1970s. Wines are made onsite from the grapes they grow. The wine production area is visible to visitors. Tastings are available for individuals and groups - up to 30 people can be seated. All groups are required to book in advance. Have an informal tasting, and staff will run you through the current list. A more detailed tasting includes a lesson on red and white wine and food and wine matching. Rothvale Vineyard and Winery have won seven trophies and over 250 show medals. Located on Deasys Road, Misty Glen Wines prides itself on having one of the prettiest cellar doors in the region. 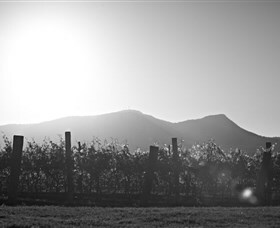 Misty Glen was established by the Wright family in 1985, Eric and Vicci took over the vineyard in 2009 and continue to strive to produce quality wines. 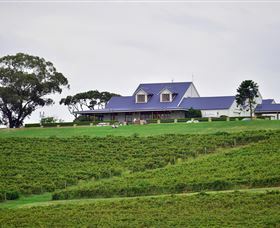 They invite you to Misty Glen to try some of their fabulous wines in a relaxed atmosphere amongst the vines. Misty Glen has a great range of wines, made to be enjoyed with family and friends whilst indulging in a sumptuous meal or simply when relaxing on the verandah. All the wines are made from grapes grown on the property. At Misty Glen you will find traditional Hunter Semillon, Chardonnay and Shiraz, as well as Cabernet Sauvignon, Chambourcin and a new range of sparkling wines and ros�. Audrey Wilkinson was first planted in 1866 making it the oldest vineyard site in Pokolbin and one of the oldest in Australia. The Cellar Door is perched atop a foot hill of the Brokenback Mountain Ranges, and is a must see site of the Hunter Valley. 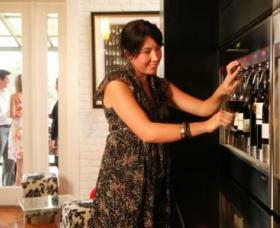 The cellar door staff have a true passion to make each visitor feel welcome and leave with unforgettable memories. Hope Estate is perfectly located in the heart of Pokolbin, set on 169 hectares of rolling countryside, picturesque vineyards and offers breathtaking views. All the wines from the Hope range, including the famous 'Ripper' Shiraz are available for tasting and sales through the cellar door. 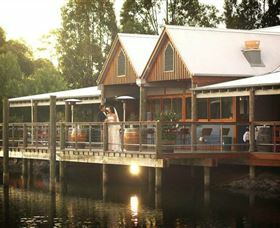 Visitors can enjoy a personalised tasting experience with the friendly and knowledgeable staff in unique surrounds of this historic Hunter Valley site. The Great Cask Hall at Hope Estate is one of the most impressive barrel rooms in the country and the only cask hall in the Hunter Valley. Part of the working winery, the Great Cask Hall is surrounded by 59 enormous wine filled casks. This stunning landmark is more than just a place to throw back a few glasses of wine. With its inviting ambience it's no wonder that it has become one of the Hunter Valley's most popular function and concert venues. The Tinkler family has been in the Hunter Valley for over 100 years. Their knowledge of viticulture and skills in winemaking combine to bring you premium quality, single vineyard wines. 100 per cent estate grown and made, they invite you to enjoy their wines and share in their history. Utilising their fertile soils and farming experience, they also grow an abundance of seasonal produce including table grapes, peaches nectarines, avocados, figs, mixed citrus and vegetables. 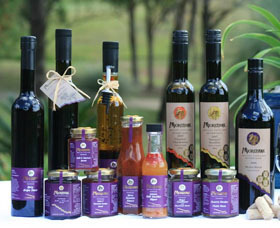 These are available fresh, or they have a wide range of jams and preserves for you to choose from. 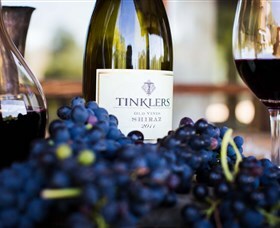 Tinklers Wines and Farm Produce are located in the foothills of the Pokolbin Mountains, where you're sure to relax and engage with the beautiful surrounds. Browse the shops, take a break for lunch at the award winning restaurant, or at the many cafes at Hunter Valley Gardens Shopping Village. 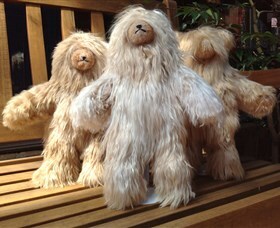 Maybe just relax with a coffee, Devonshire tea or a Hunter Valley handmade cookie. Enjoy country style shopping, friendly service, and smaller crowds, with plenty of parking and easy access. Bring the family, children or your visitors and make the most of the beautifully landscaped picnic grounds (equipped with electric barbecues and a fully enclosed children's playground). 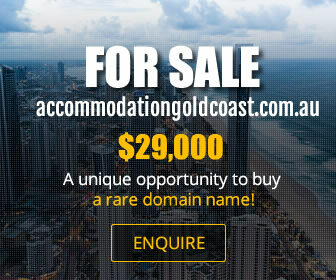 Perhaps you might choose to discover the 60 acres of the spectacular, internationally themed 'Hunter Valley Gardens' located adjacent to the village. 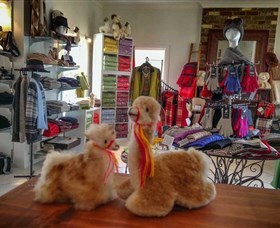 The range of shops includes homewares, galleries, a cellar door and gift shops, boutique and specialty shops, and attractions. Take in a massage at the beauty salon. 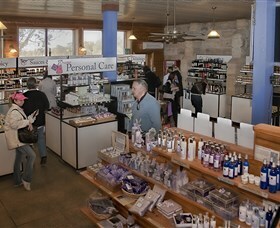 The Hunter Valley Gardens Shopping Village also offers a General Store and Chemist for your convenience. Celebrating 120 years of winemaking in 2015. The Tulloch story began in 1895 when John Younie Tulloch accepted an unusual settlement of a debt, a 43 acre property at Pokolbin in the Hunter Valley. Tulloch took an immediate liking to the property and the five acres of neglected vines it contained. He set about rejuvenating the vineyard and so began the proud family tradition that continues today. Tulloch currently produces wines from varieties that the Hunter Valley is renowned for, such as Semillon, Chardonnay, Verdelho and Shiraz, together with other limited releases available only from the Cellar Door. 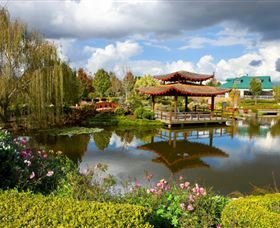 Spanning over 25 acres, be amazed by the sensational sights, colours, and fragrances of the ten stunning feature gardens at Hunter Valley Gardens. Explore the thousands of flowers, trees, and shrubs with discovery at every turn. Take in the colour and scent in the Rose Garden with hundreds and thousands of roses on display, rest above the 10 metre high waterfall above the Sunken Garden and take in the superb views from the lookout; or step back in time with their favourite characters in the Storybook Garden. Stroll along the eight kilometres of walking paths and enjoy the six thousand trees, one million ground covers and six hundred thousand shrubs. They host many fantastic, family friendly events throughout the year including Snow Time in the Garden, Christmas Lights Spectacular and the Mega Creatures. 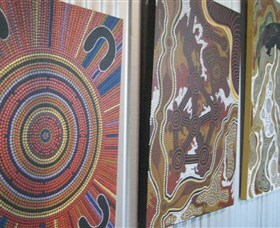 For more information about the events, visit their website. Wine Glass Gallery has a large colourful range of wine glasses, specialising in unique art glass vases platters an bowls plus decorator pieces for your home. 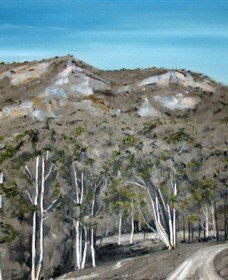 There are many original artworks by award winning local artist Cheryl Cusick. A fabulous selection of scarves and sarongs, beautiful handbags, affordable jewellery, amusing coasters and wine glasses for special occasions are available. They also have amazing lamps and tea lights room infusers also have Australian and local souvenirs. There are over 3,000 gifts in stock. 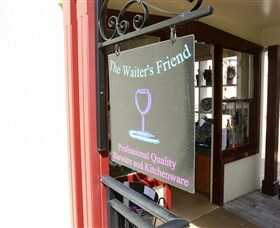 Don' forget to visit Wine Glass Gallery in the Hunter Valley Gardens Shopping Village on Hunter Valley trip. It will be a friendly and colourful experience that should not be missed. The Hunter Valley Cheese Company is a boutique cheese factory and retail Cheese Shop, also selling ploughman's platters, espresso coffee, locally made chutneys, relishes and jams. The factory has a viewing window into the 'Make Room' and 'Maturation Room' and 'Make Days' are Mondays. Cheese tasting is available 9 to 5.30 every day at AUD6.95 which includes five cheeses, bread, biscuits, grissini and fruit paste. A cheese tutorial is conducted twice daily (11am and 3pm). They are easily located in the same complex as McGuigans Wines. 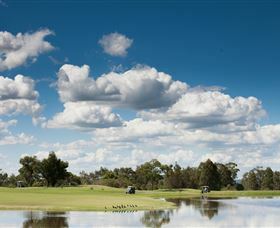 Hunter Valley Aqua Golf is the ideal venue to try and hit a golf ball for the first time. Many players enjoy the relaxed and picturesque setting whilst others are competing with their friends and family to see who can win a prize. Known as the Vegas of golf, Hunter Valley Aqua Golf pays out up to AUD100,000 in cash and prizes per year. Most players who win will tell you it was great skill, but more often it is just good luck. 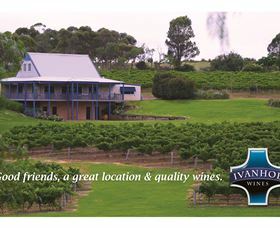 Ivanhoe Wines is a premium boutique wine business, located in the heart of Pokolbin. Specialising in handcrafted Hunter Valley wines, they are only available at the cellar door, not in bottle shops. Their team are friendly and knowledgeable and ready to help you find wines that you love. Boasting a wide range of varieties, they have a wine for everyone. Many of the grapevines are over 50 years old, whilst they produce less in volume, the quality is exceptional. Owners Stephen and Tracy Drayton take immense pleasure in their work and their love of both people and wine is the driving force behind this boutique business. What better way to spend an hour, than to enjoy fine wine, good company and the majestic view? Pokolbin Brothers Wines Hunter Valley is a traditional small family owned boutique wine business. Their sought after wines are carefully produced from first pressings of premium hand-picked grapes sourced exclusively from their historic old vine vineyard, established since 1976. 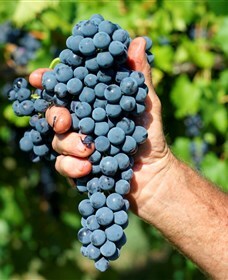 Although non-certified organic, they adopt many organic grape growing practices. Specialising in distinct wines including Chardonnay, Shiraz Merlot, Sparkling Moscato and Liqueur Muscat, the majority of their limited production is destined for export to clients in Japan, where Pokolbin Brothers Wines is proudly featured at a restaurant patronised by the Imperial Household in the exclusive Ginza district of Tokyo. 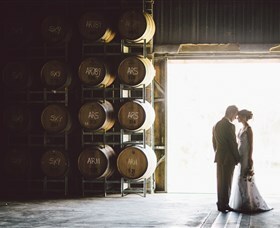 Pokolbin Brothers Wines unassuming cellar door is housed within a corrugated iron winery shed, reminiscent of the region's earliest cellar door beginnings. Bicycle Hire and Ronnie's World Famous Coffee also available! Visitors, including small bus groups, are very welcome. Complimentary wine tastings and sales available. Groups are kindly requested to book ahead. The Legend states that in 1835, Governor Macquarie directed explorers to find routes to open up the Hunter Valley. One wild and windy night, as the explorers attempted to cross a flooded creek, their strongest horse - Cockfighter - drowned bravely trying to get his rider across the raging waters. When convict gangs were later sent to construct a bridge over what was now known as Cockfighter's Creek, they swore that on stormy nights you would see Cockfighter's Ghost galloping free across the countryside. 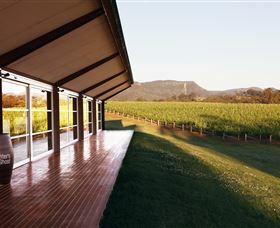 A visit to the spacious contemporary Cockfighter's Ghost Cellar Door is one of the highlights of a visit to the Hunter Valley. 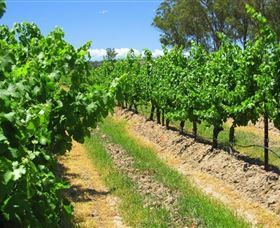 It is located on the historic Post Office Vineyard and is surrounded by the region's oldest shiraz vines dating back to the 1890's which makes their Flagship Poole's Rock Shiraz. The Cellar Door at Drayton's Family Wines offers a vast range of premium Hunter Valley wines, and an excellent wine tasting experience with friendly and knowledgable staff. One of the few companies that are still family owned and operated, the Drayton family is very proud of its history over six generations and the part it has played in the development of the region that is now known as "Hunter Valley Wine Country". 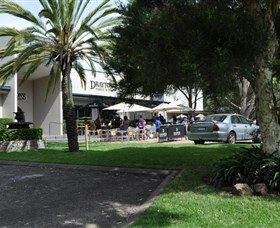 Drayton's Family Wines offer select styles for all palates: from the drink now styles in the Oakey Creek range, to New Generation wines of noble varieties and the unique and distinctive varieties comprising the Hunter Valley range. For the discerning palate, a classic representation of Hunter Valley terroir is found in the Draytons Vineyard Reserves and ultra premium iconic Limited Releases. 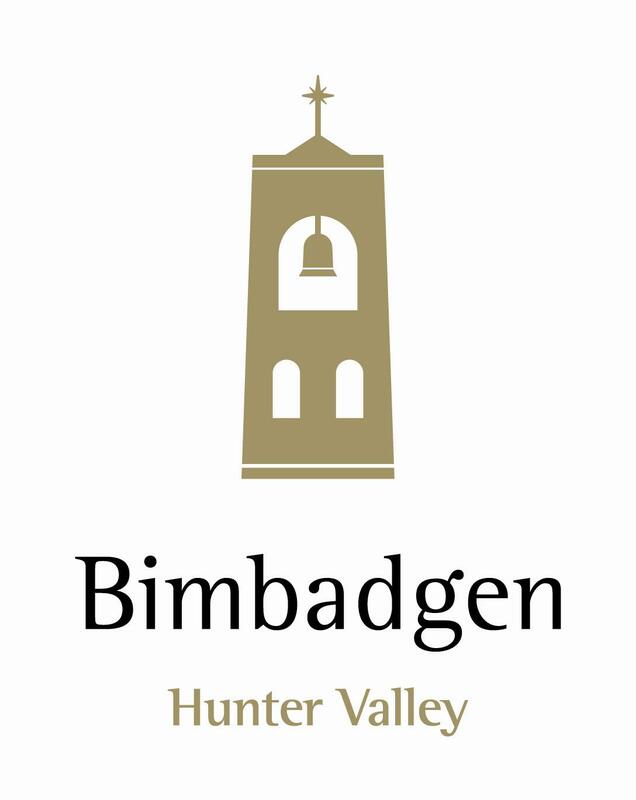 Set high on a hill in the heart of wine country, Bimbadgen is one of the Hunter Valley's most picturesque and award-winning wineries. 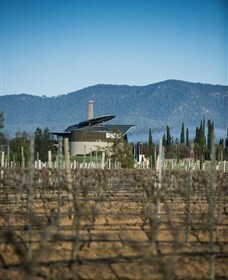 As well as the vineyards, the estate features an open-plan winemaking facility, allowing visitors to experience the winery in action; a contemporary Cellar Door, enabling guests to build their wine knowledge while sampling Bimbadgen's full collection of wines; award-winning Modern Australian restaurant Esca Bimbadgen, whose menu focuses on culinary innovation using local and seasonal ingredients; a natural outdoor amphitheatre, home to A Day On The Green concert series; and picturesque accommodation overlooking the winery. A warm welcome awaits you at McGuigan Cellars, the home of McGuigan Wines in the heart of the Hunter Valley. The friendly and knowledgeable team will guide you through a tasting of award-winning McGuigan wines from the always popular Black Label to exclusive labels such as the very special Personal Reserve. To gain the full wine experience there is a fun, informative tour of the winery where you can learn the life of making a wine from the vine to the bottle. Everyone is welcome in the relaxed main hall, specially designed group tasting area and private tasting rooms for members and guests. 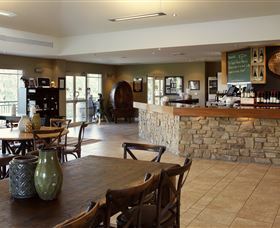 While at McGuigan Hunter Valley you can also experience the delights of the Hunter Valley Cheese Company. Here you will be able to enjoy the full cheese experience from sampling the great range to seeing how each cheese is hand crafted in the make and maturation rooms. 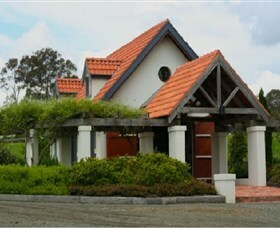 The rustic cellar door sells only premium wines grown on the estate. Relax on the wide covered verandah and sample our award winning wines while enjoying uninterrupted views of the majestic Brokenback mountain range. Since 1992 Robyn has been awarded 25 Trophies, 42 gold, 59 Silver and 108 Bronze Medals. WineState Magazine "Best Semillon of the Year" ahead of more than 11,000 entries twice! Many Business Awards. Robyn Drayton Wines produce a range of wines named after her family members including the Reginald Reserve Semillon, Liam Reserve Verdelho, Justin Reserve Chardonnay, Sweet Caress (Robyn says this is her namesake!) , Botrytis Semillon "Foreplay", Pamela Reserve Ros�, Taylor Reserve Petit Verdot, Taylor Reserve Shiraz Cabernet and the Three Sons Reserve Shiraz. Robyn signature wine is the "Classic Hunter Verdelho liqueur" White Port served chilled with a slice of fresh lime. 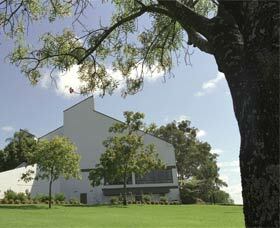 The Small Winemakers Centre is located in the heart of the Hunter Valley. 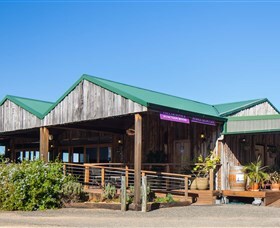 It is a unique cellar door showcasing some of the best boutique wineries of the region. The centre is home to The Little Wine Company, Thomas Wines, Silkman Wines and Hart & Hunter as well as a great selection from David Hook and Keith Tulloch. The downstairs tasting room offers a relaxing atmosphere where you can sit back and allow staff to tailor an informative and entertaining wine journey for you. For members, the sanctuary of the Icon Lounge awaits. Simply let them know when you are visiting and you and your guests can enjoy a private tasting in the lounge. Open 10am to 5pm every day and provide individual tastings as well as group tastings by appointment. Meerea Park has established a reputation over the last decade as one of the leading wine producers in the Hunter Valley, winning at least one Gold medal at every Hunter Valley wine show since 2002, a feat only enjoyed by a handful of Hunter Valley producers. Meerea Park, while taking a modern approach to winemaking, can trace its winemaking roots in the Hunter Valley back to the 1860's when Alexander Munro, their great-great-grandfather established the 'Bebeah' vineyard at Singleton.' Their 'Individual Vineyard' range labels bear the image of an ornate drinking fountain and gas street lamp that Alexander Munro commissioned, had made in Scotland and then shipped to Singleton in the Hunter Valley. He donated it to the town upon his retirement as Singleton's first mayor. 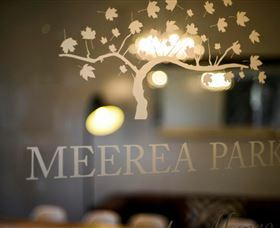 Meerea Park has enjoyed consistent wine show success at national and international level. Tamburlaine is Australia's largest producer of organic wines, although not a large winery in world terms. 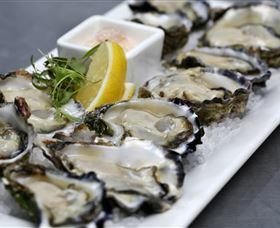 The winery was established in 1966 in the renowned Pokolbin district of the Hunter Valley. 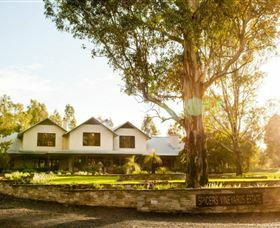 In 1985, a small group of friends and relatives, led by Managing Director and Chief Winemaker, Mark Davidson, purchased the Pokolbin, Hunter Valley winery and vineyard from its founder, Dr Lance Allen. Ten years later, in 1995, Tamburlaine expanded its production and quality base through the acquisition of prime vineyard land in the emerging cool climate wine region of Orange in the Central Tablelands of New South Wales. Up to 70 per cent of the annual production now comes from Orange. Visit the Tamburlaine cellar door in the heart of Pokolbin to sample the exclusive range of organic wines and other products in a relaxed and friendly atmosphere. 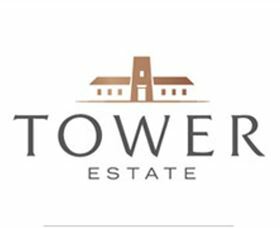 Tower Estate's philosophy is to produce wines of classic style from fruit sourced from the specific Australian Region that best suits a particular grape variety. Their Vineyard is one of the last places wine doyen Len Evans was involved with. This is boutique operation with only a small release each season. At their cellar door tasting you can compare a Hunter Valley Shiraz with a Barossa Shiraz both made by Tower Estate but are two distinctly different wines. James Halliday rates their wines some of the best in Australia. 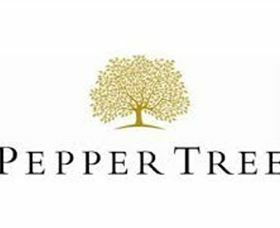 Handcrafting wines since 1991, Pepper Tree Wines produce wines of purity, elegance and distinction. Pepper Tree Wines offers a unique and relaxed experience set amongst spectacular landscaped gardens that surround the property. 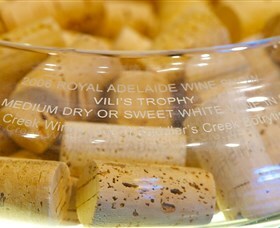 Continuing to receive high accolades and five star ratings for their premium wines, they must pay homage to their extensive, carefully selected, vineyards located in four of Australia's best wine growing regions - Hunter Valley and Orange in New South Wales, and Coonawarra and Wrattonbully in South Australia. The winery is pet friendly. Contango Espresso Roasters are on site. Calais Estate is a family owned and operated boutique winery set in a picturesque vineyard and is home to the Cellar Door, The Verandah Restaurant and Come What May; a homewares and gift shop. The Cellar Door is located in the charming colonial-style building built from convict cut bricks and solid timber bridging beams. 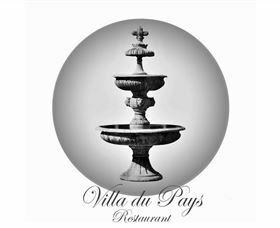 Calais offers wine tastings every day and features one of the largest boutique wine lists in the Valley. Boasting everything from classic wine varieties, to a range of hand crafted sparkling wines in the French traditional method, unusual wine styles and even apple ciders and balsamic vinegars! Peterson House is positioned at the gateway to the Pokolbin parish of cellar doors, with sandstone walls and exposed antique timber rafters adding to your experience. You will find a warm and friendly welcome to accompany your tasting experience in a Cellar Door which showcases the largest eclectic range of sparkling wines in the country. The Cellar Door is open seven days a week from 9am - 5pm offering over 30 varieties of sparkling wine for all tastes and occasions, ranging from the traditional Chardonnay Pinot Noir to the sweeter style of Sparkling Botrytis Semillon, because as they say... life's flat without bubbles ! Within the sandstone walls of Peterson House you will also find the multi-award winning Restaurant Cuv�e which provides guests a-la-carte breakfast from 8.30am - 11am and lunch from 12pm- 3pm. Hungerford Hill is a Hunter Valley icon and a champion of New South Wales winemaking. Family owned and operated, Hungerford Hill produces a range of exemplary wines from its home in the Hunter Valley as well as cool climate regions of Tumbarumba and Hilltops in Southern New South Wales. 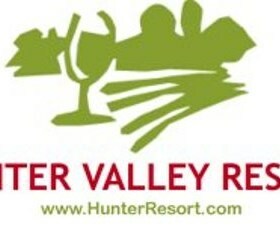 Hungerford Hill's home is in the world famous Hunter Valley, Australia's oldest wine region. The winery, designed by renowned architect Walter Barda incorporates a spectacular barrel-shaped tasting room and the acclaimed Muse Restaurant and Cafe, while concealed underground is the working cellar. Join the EPIC Tasting Experience Wednesday to Sunday: 11am - 3pm. The friendly and knowledgeable staff at Hungerford Hill Wines will guide you through a tasting, chosen from a menu of premium, limited release and museum Hungerford Hill wines. Please note reservations are essential. We are unique in the cluttered Australian wine market in that 85% of our domestic sales are directly to consumers and not through the confusing retail shop market place. This is a wonderful opportunity for us as winemakers, in that we have a special relationship with each of our customers and have the opportunity to listen to Australia’s wine lovers and make wines they want to enjoy.This allows us to be more critical of our methods and be more introspect in our wine making direction. This opportunity is not available to those producers who are kept at arms length from their ultimate customers. We are lucky enough to have a VIP customer group called Club Equus that has a substantial membership of very loyal and committed customers proud to be a member and have the chance to enjoy wines of this calibre. As well as a focused direct approach to our domestic sales we are now embarking on exciting export markets that are opening up to us. Our future direction in export markets are niche sales to restaurants and prestige luxury hotels. We are very excited with our prospects in this area and our ability to supply increased quantities to these premium establishments. Already our fine wines can be enjoyed on the best tables in such places as U.S.A., Germany, United Kingdom, Sweden, Cook Islands, Fiji and China.